On the schools front, thanks principally to Heather Madine (but with substantial contributions from Sir Nicholas Barrington) classroom one was completed and thanks to Neil Kreitman, classroom two got well under way – due to the harshness of the weather in the valleys, building work comes to an almost complete halt in the late autumn and winter. Pupils in the new classroom in Birir. As the internal accounts below show activity with patients has been at an all-time high thanks principally to Mrs Susanne Kapoor. We also still run three dispensaries where we pay the rental and the dispenser at each and provide free medicines. 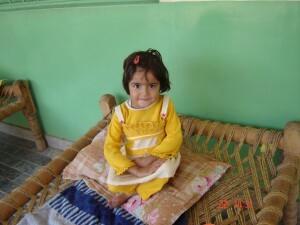 Libia – Janus’s six-year-old daughter who has muscular atrophy. She cannot walk and is in constant pain with her legs and her back is curving. Flood relief was an important extra ingredient this year and many thanks to all those who contributed. A high priority was a protective wall for the bank below the field where the new classrooms have been/are being built. Building the retaining walls around the school. Finally administration – always a hot potato for any charity…… In the UK administration costs are nil as all office costs, postage, newsletters etc are sponsored. In Pakistan Maureen has her own structure for which she is responsible but towards the costs of which HKCA contribute. 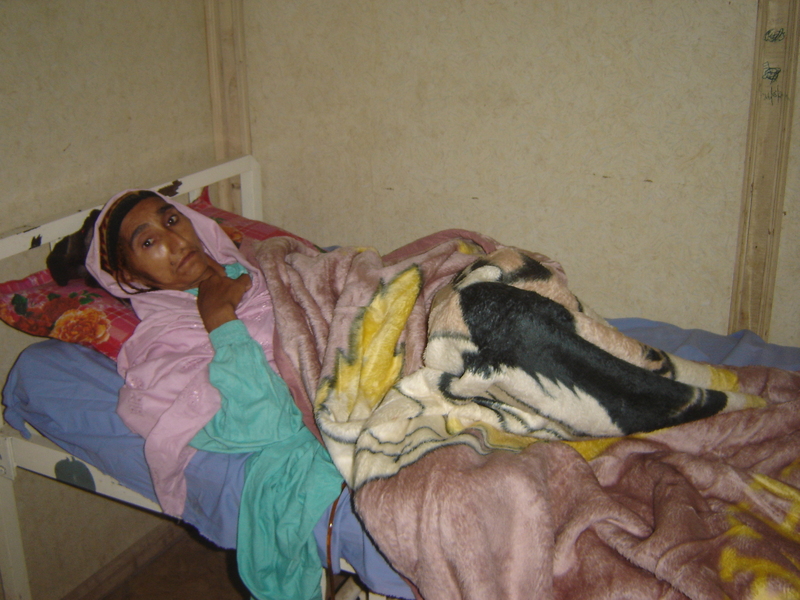 She has a rented home and office, combined together plus office staff and a vehicle in Peshawar plus a structure in the valleys which provides transport for patients, provides some of the project supervision and includes the cost of three dispensers and a ‘minder’ who accompanies patients when they come down to hospital in Chitral or Peshawar. The total cost of all of this including what Maureen lives on comes to about £17,500 per annum. Amazing! We are not quite sure how she does it and would love to be able to contribute more but the funds are just not there to be able to. Indeed every year the Trustees worry over whether HKCA will be able to maintain its level of contribution. Thanks very largely to Neil Kreitman we have been able to. So we come to the end of another financial year thrilled by what Maureen has been able to achieve with the funds donated to her projects but wondering as always at this time of year how HKCA and Maureen will survive the next one. The Peshawar High Court decreed the Lowari Tunnel should be opened three days a week to facilitate the people of Chitral. Nothing has happened. Vehicles continue to become stuck in the snow. Women and children continue to suffer hours of freezing cold. 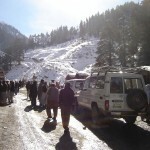 Trucks are unable to bring the required food to sustain the population during the cold winter months. Twice my adopted family, a mother with five children, and my driver, have set out from Birir to make the dangerous journey. Twice they have been turned back at Asheret. My driver called me around ten o’clock, on Saturday, to tell me they were stuck along with hundreds of other vehicles, and were trying to return. A Chitral Scout told them that they might (might!) open the tunnel at nine in the evening! Eleven hours sitting in the bitter cold with no assurance of getting through? On the Dir side of the pass, my Peshawar driver had to turn back yet again, this time with a patient we had brought to Peshawar for a serious operation. How am I going to get her back to her home in Birir? So far these aborted journeys, including damage to my vehicle, due to a collision on the Lowari, have cost me forty thousand rupees. That is financial. What of the stress to me, my family, to all those other people now stuck on the pass or at the entrance of the tunnel? Is that quantifiable? Getting patients down in winter is hazardous. The Lowrie Pass was the nemesis for our last vehicle as the pass rendered it useless. It is an outrage. An official agreed with me, adding it was against all human rights. Of course, it is. 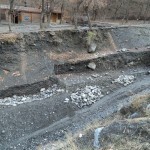 Chitral is now like a besieged town, not besieged by militants or some invading army, but by lack of care, commitment, and lack of government action. The jurisdiction of Peshawar High Court needs to be implemented, and implemented immediately. 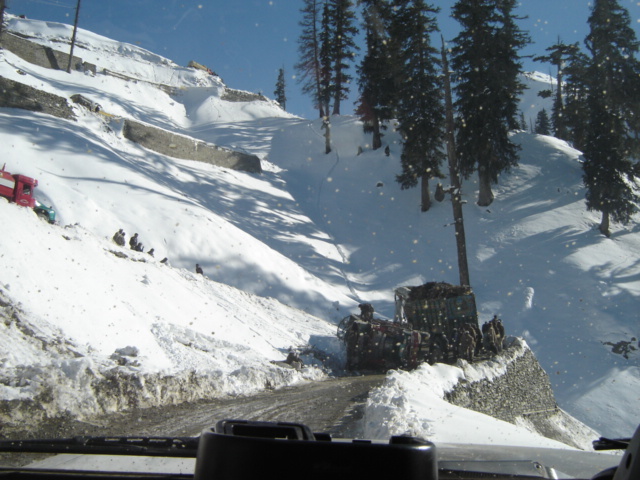 Due to the hazardous conditions of the Lowari Pass and the appalling roads in the whole area, as well as threats of militancy, it is imperative to always have a good vehicle. At the moment we are using two antiquated vehicles which are not only hazardous, but uncomfortable both for Maureen, patients and drivers. At present we have funding to support Maureen at the present level until October 2014 which is our top priority. The restricted vehicle fund has just £211 in it out of Maureen’s estimate of £9000 needed. The roads are tough on vehicles. I am thrilled with what Maureen and HKCA have achieved in 2013/14 which has been made possible by some extraordinarily generous donations for which once again our very grateful thanks. However not all in the garden is rosey. One of the ‘hidden costs’ of our projects (work) (Maureen’s work) is the security issue. Militancy is on the increase in Pakistan and in particular in KPK province, formerly the North-West Frontier. In Peshawar, she is allowed to rent property for an office and residence in only one district, and for that she needs security guards. She does not hire professional guards not only because the cost is prohibitive, but she believes in the low key approach – no notice board, no writing on vehicles and no armed guard at the gate. 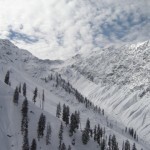 When she travels to the Kalash valleys she is bound by rules issued by the Home Office and has to obtain a travel permit. She is trying to overturn this with applying through the courts for a legal adoption with her Kalash family and applying for citizenship. Even though she has now got a Pakistan Origin Card she is still regarded as a westerner and as soon as she hits the Malakand division she has to run the gauntlet of police vans (now an extreme danger to everyone as they have become a number one target of the militants). Then once she is in Birir, it is mandatory she has to keep with her (meaning housing and feeding) a three man security patrol. Before they were local police and border police, but now they are professional police from nearby Ayun. Fortunately, for Maureen, the new DPO is an erudite man, and, having served in Europe, has a different mindset from other DPOs. He sends hand-picked guards who speak English, are in mufti and fit in with the inhabitants. They even chop wood for the house and run errands to the store for the family! During the previous local administration, Maureen had a hard time. Sir Nicholas Barrington will no doubt remember Maureen’s trials and tribulations with the local government when he was serving in Islamabad. If the local government consist of clean, erudite hard working administrators, Maureen has no problem (three DCOs Maureen was friendly with years ago, went on to becoming chief secretaries of the province) but if they are from the other end of the spectrum, Maureen knows she will have a hard time. So what with the vehicle problem above, another £7250 to raise for running the ship and a further £4000 needed to maintain our current level of patient support we have a lot to do. I have asked Keith Howman and Jane Clacey who produce and distribute the Newsletter free of charge to not only send out a hard copy to all you wonderful supporters but also to send email copies to all of you for whom we have email addresses as it is such an easy way of passing the word around or having extra copies. 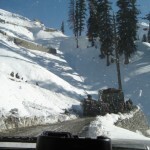 It is that time of year dreaded by Chitralis – dreaded because of the fear of being trapped on the Lowari Pass by snow, and being deprived of essential commodities. Yes, there is the Lowari Tunnel… But, after years of work and reputed waste of money, it is still of little benefit to the people. Recently, some of my family members joined me in Peshawar. Both they and I were trapped here for a week, as the powers that be refused to open the tunnel (although it was said it did open late one night). We, however, were the lucky ones. 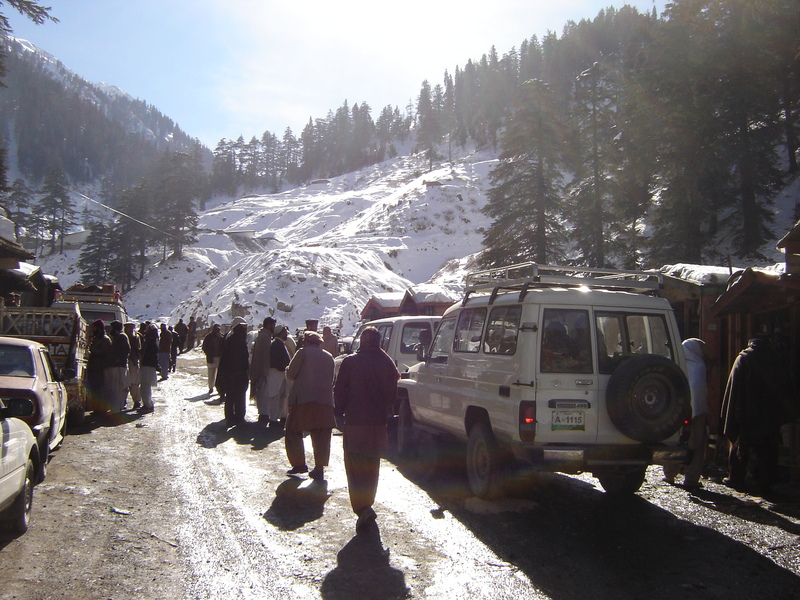 Hundreds were trapped on the Dir side, including women and children coming back from Haj. To be trapped in the biting cold is no joy, as I know only too well having been trapped for five hours some years ago. Then, though, the tunnel was just an unfinished white elephant. The Chief Secretary, to his credit, did try to get the tunnel opened, but who was listening? The Kalasha have other problems as well. From ancient times, they have been exploited one way or another. Modern day exploiters are anthropologists or researchers. 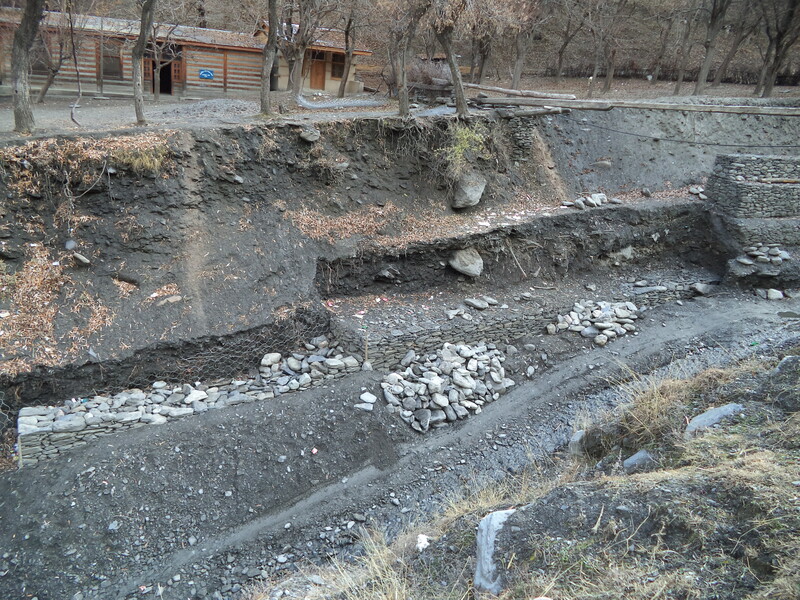 Recently, upon my return to Birir, after an unavoidable absence, I was horrified to hear the following account… A researcher from a university in the Punjab had the help of a Kalasha youth by reputedly paying a bribe to represent them and organize a research project. This entailed the taking of blood samples from Kalasha school children, some as young as five, in the pursuit of their DNA in order to trace their origin, a long sought answer to a question that has intrigued anthropologists and tourists alike. But where is the integrity? To actually implement the blood taking, they bribed some medical workers who happened to be in the valleys. No permission was asked from the parents, or the government, local or provincial. Some children suffered ill effects and many were then afraid to return to school. When the furious mothers came to me with this story, I started my own investigation, helped by my police security team. They have compiled a file on the case and intend to prosecute. These devious individuals should be given suitable punishment to deter others following this unethical, immoral behavior. Another problem facing the Kalasha is that the elders are dying out. Recently, one of the most famous and ethical elders, Kata Sing, died and was buried in Rumbur. 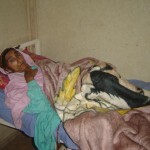 Another elder from Rumbur, Bashra Khan, is lying in hospital suffering from terminal blood cancer. These men are the true harbingers of the Kalasha culture, unlike some of the ‘modern’ Kazis. A couple of the older, (and, in one case, a reclusive shepherd), men of the valleys have stories galore stored away in their heads. Over the years, the anthropologists visiting the valleys have predominately spoken with one particular very elderly Karzi, who, so the story goes, sometimes makes up stories to please his listeners. The culture, the true uncorrupted versions of Kalasha stories and histories will die out with the passing of these men. Unfortunately, both I and a young Kalasha man were unable to persuade the government to fund the writing of a book of these stories in Kalasha for the school children. When the language and historical stories of any ethnic minority disappear, so, eventually, does the culture. Kalasha exhibitions are sometimes favoured by the government, usually Kalasha women dancing – considered a form of prostitution by some. Many years ago, paid dances were stopped in the valleys as it gave a wrong impression in a predominately Muslim country. Surely money spent on preserving the Kalasha culture would be more expedient than hauling down Kalasha people to pose for the amusement of Westerners and government officials in Islamabad? Scene from the top of the Lowrie Pass. 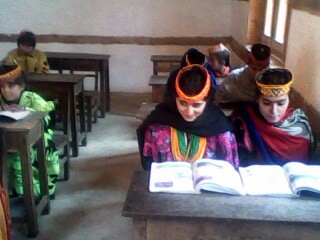 Again, in regard to the Kalasha, unlike the people of upper Chitral, they suffer from the lack of or poor education. One school teacher bemoaned to me that the police department would not take Kalasha individuals. In the words of the current DPO, a very erudite man, the education is too poor and that only one Kalasha person had been selected out of those applying. Due to economic restraints and poor education, Kalasha men are migrating to Karachi to work in the fish market. These days, Karachi is no place for any minority group. 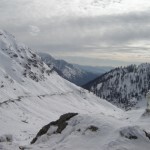 It is hoped that the government will open the tunnel this winter for the benefit of all Chitrali, and that when it comes to wishing to preserve the culture of the Kalasha as a tourist attraction, they will pay more attention to preserving than exhibiting and fund advanced teacher training. 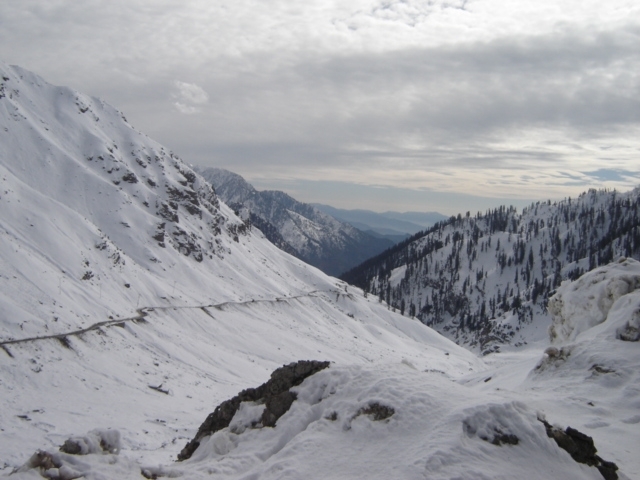 Now is the time of Chaomos, the Kalasha winter festival, celebrating the Winter Solstice. It would be great if they also had something else to celebrate. 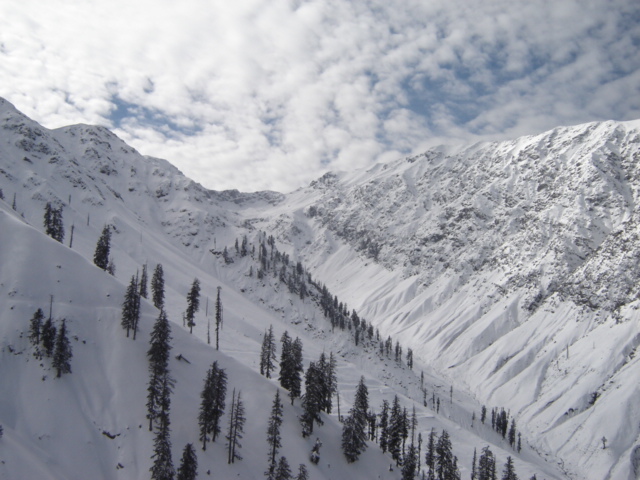 Jill Probyn, who died suddenly at home in January 2014, will be remembered by HKCA for her devotion to advance education in what was then called the North-West Frontier.